Pam Morrison, Program Director, is a PATH Certified Instructor. She received her certification in 2009 while working at Harmony Farms in Rockledge, Florida, where she later became Program Director. After five years with Harmony Farms, Pam moved to Hidden Acres in Port St. John to help with a new equine program focusing on at-risk youth, as well as conducting riding lessons for all levels of dressage, hunter/jumper, trail and obstacle challenges for beginner through intermediate riders. Pam has vast and varied experience with equine care, management and training. She has two horses of her own; one that she started as a colt and a Thoroughbred she adopted for her husband. Pam studied at the University of Southern Maine and held a career in general management in the country club industry. She served on the PATH International National Conference Committee in 2013 as a chair of hospitality and entertainment. Pam also served on the committee for the PATH Regional Conference in 2012, held in Tampa. She currently resides in Cocoa, Florida with her husband, Brett. Her love for the horse and passion for equine-assisted therapeutic riding has brought her to MTRA. She began as our head instructor for the Hillcrest School program in the fall of 2014 and was promoted to Program Director in the fall of 2015, after Terri Libera accepted another position closer to her home. 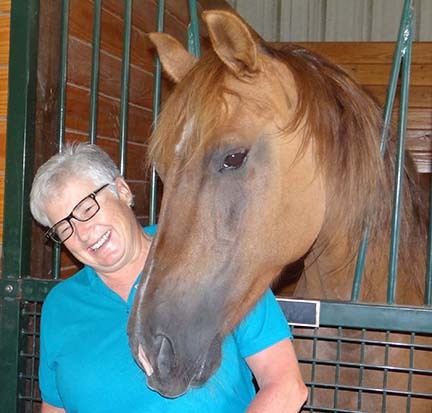 Sally Ann Lyle is our most senior Certified PATH Instructor and has had a lifetime with horses as a breeder, owner, exhibitor and fine artist and moved to Ocala from Kansas City, MO. Sally has World Champion Morgan Horses and currently shows the western pleasure mare “Better Be Good To Me” and the pleasure driving mare “Set The Stage”. She was also the creative mind behind our beautiful MTRA horse and rider logo. She is one of our most senior PATH certified instructors and is a trusted friend to MTRA. She has won numerous awards for her beautiful equine art and frequently has her work featured in magazines and on the covers of show programs and horse magazines. Garnet Robinson is a past member of our Board of Directors and is now a PATH Certified Instructor. Originally from Parkersburg, West Virginia, Garnet graduated with a Bachelor of Science in Physical Education from West Virginia University and enjoyed a long and fulfilling career in the Army and the Department of Defense, as well as a second career in 2012 as a program manager in the military health care system, she retired and moved from San Antonio, Texas, to The Villages, Florida. After settling in, she discovered MTRA through friends she made in the horse community. Aside from volunteering at MTRA and serving on the board, Garnet enjoys training and riding her Morgan mare “Spice” and other outdoor activities in beautiful central Florida. 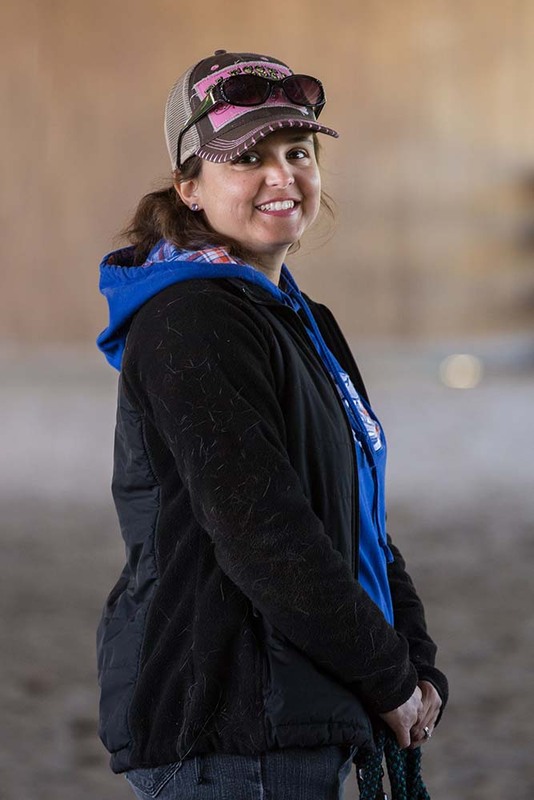 Garnet has a strong background in education, equine activities, management, and leadership, which makes her a great instructor and an asset to MTRA. 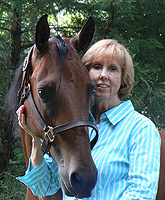 Catherine Sears-Koch is a third generation Equine Enthusiast and Professional. She has been training, schooling, caring-for and riding horses of all breeds and disciplines her entire life. At just 22 months old, she competed in her first horse show in Western Equitation. In the mid 1990s, she started professionally teaching English and Western Equitation and timed competitions. At her family’s equine business, Rocky Top Stables, Catherine managed 300+ farrier clients and over 30 boarders, which consisted of foaling, training, schooling, riding lessons and rehabilitation. For over 18 years, she has been an apprentice certified farrier. 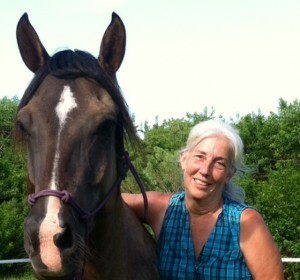 In addition to being a farrier, Catherine found it important to become trained in Equine Massage Therapy. She says that the benefits of combining the two are extremely worthy in maintaining a horse’s well being, soundness and recuperation. Because of her passion for teaching therapeutic riding, in 2008 she earned her PATH certification. She has been enjoying every minute of teaching and has made amazing friends and seen so many miracles that have touched her heart. Catherine joined the MTRA family in 2016 and feels blessed that she can make a positive difference in people’s lives through horses. Her riders inspire her with their determination and perseverance. When Catherine is not teaching, she enjoys taking care of her farm and horses, spending time with her husband, Brandon, and making memories with family. She also loves music, singing and writing songs. She released an album of all original songs titled, “Life’s Amazing Ride”. Her music is playing worldwide and topping various charts. The song, “Let Fate Dance” hit the top 10 charts in Italy and she was awarded Best Live Performance by the Independent Country Music Association in Nashville, TN.